Per Box Office Mojo, Harry Potter and the Deathly Hallows earned $1.13 Billion worldwide and has surpassed The Lord of the Rings: Return of the King to become the third highest grossing film of all time. The 1st and 2nd slots belong to Avatar ($2.78 billion) and Titanic ($1.84 billion) respectively, a pair of records many believe will never be broken. Regardless, a billion dollars is nothing to sneeze at, particularly when it comes from the final entry in an eight part franchise where each part has earned at least $750 million. Warner Bros played big and earned huge on these films, and with a limited re-release rumored to hit this December in order to garner awards attention, the gross on the final Potter will only get higher. 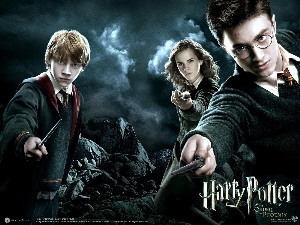 Harry Potter and the Deathly Hallows plot: Harry, Ron and Hermione search for Voldemort’s remaining Horcruxes in their effort to destroy the Dark Lord. Comments for “Harry Potter and the Deathly Hallows” Reaches New Record High are now closed.